Sturgill Simpson is one of the most under-appreciated, under-aired, unknown, and immensely talented musical artists around. Up until last month, in fact, most Americans have never heard of him — because he’s entirely too truthful to be on the radio. To his devoted fans, this author included, Sturgill Simpson is a pioneer in the realm of music — and activism. For years, Simpson has been enlightening his listeners, not only through his band’s amazing sounds but also through his activism. Sturgill Simpson is unafraid of being unpopular for telling the truth, and it has reflected in his music for more than a decade since the days of Sunday Valley. For Simpson, nothing is taboo — up to and including his antiwar stance. While he’s best known for being the country singer who sounds like a mix of Conway Twitty, Waylon Jennings, and Merle Haggard — and the one who sings about the mind-expanding powers of hallucinogens like ‘Marijuana, LSD, Psilocybin, and DMT’ — Sturgill also loves to blast the military industrial complex. His music and band are so powerful that many people may miss what he’s saying, but not us. With his newfound success and popularity from the Grammy nomination and appearances on Joe Rogan’s podcast, Sturgill was recently asked to play on Saturday Night Live (SNL). Shockingly enough, the producers, either through carelessness or intention, allowed Sturgill to play one of his most powerful antiwar songs from all of his albums — Call to Arms. The song is ironically titled as it is a call to arms against the US military rather than a call to arms for them. In the song, Simpson, who is also a US military veteran, calls out not only the brutal nature of military and war, but the fact that Western profiteers are making a figurative killing off of heroin for the literal killing of people in Afghanistan. A former British Territorial Army mechanic, Anthony C Heaford released a report two years ago, and a series of photos, which he says proves that British and American troops are harvesting opium in Afghanistan. 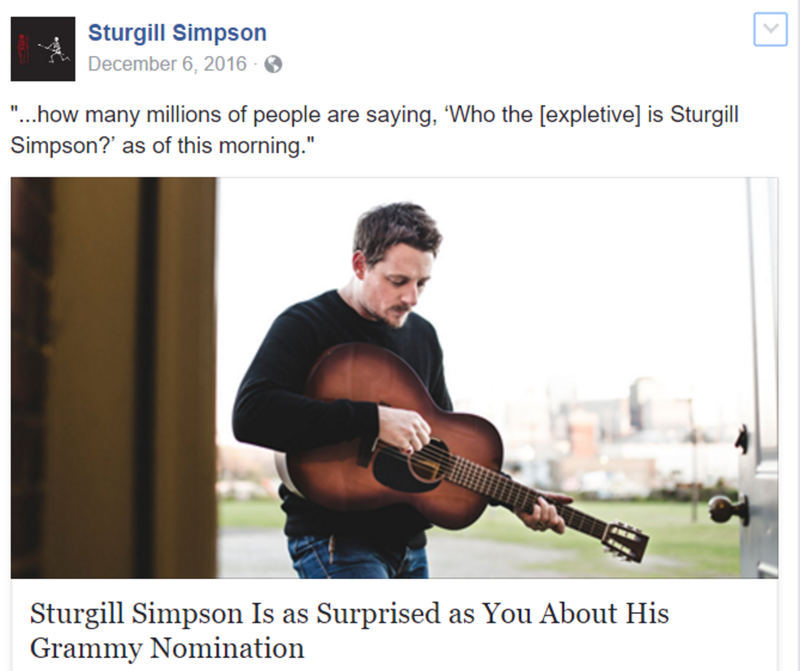 However, mentioning this on television is virtually unheard of — but not for Sturgill Simpson. After playing Keep it Between the Lines, Simpson went on to drop truth to the millions of viewers — and most of them had no idea. As the song starts out, Sturgill Simpson calls out both oil and heroin and notes how the troops are used as pawns in these wars for profit. The second part of the song actually addresses why no one even caught the fact that he just exposed war for profit on SNL. For an unknown reason, the last verse of the song was omitted, possibly because of all the swearing. But it is still very powerful. The band then launched into an incredible 2-minute jam. At the end of the song, Sturgill throws down his guitar and looks out at the crowd with an inspiring anger. And, just like that, truth got leaked out on to mainstream television. Below is the performance from Saturday. If you’ve never heard of Sturgill Simpson, we highly recommend you try it out. You can do so here, at his website.